Dear Sister, THIS Is Why You’ll Always Be My Best Friend! Dear Sister, I know there are times we fight like crazy, call each other names and swear never to talk to each other ever again! But no matter what happens, we know at the end of the day, we will always be there for and love each other! You are my guiding light and the one that calms me down when there is a storm inside me. Here are a few reasons you’re my best friend! You still listen to me patiently each time. You still let me take them time after time! I know you’ll be there to try and calm the situation down! 4. Because what would I do without you on all those family vacations?! It would be no fun without my favourite shopping partner! You will never tell me I’m right when I’m wrong, or the other way round - even if it might upset me sometimes! There is no one else I can spend that much time with and still never get bored of! I feel calm even when I’m actually really stressed. You bring me back down to earth and keep me grounded! But for you, I’ve always just been me. GIFs: tumblr, giphy MUST-READ: “Didi, Pleeease!” 13 Things EVERY Older Sister Will Get! 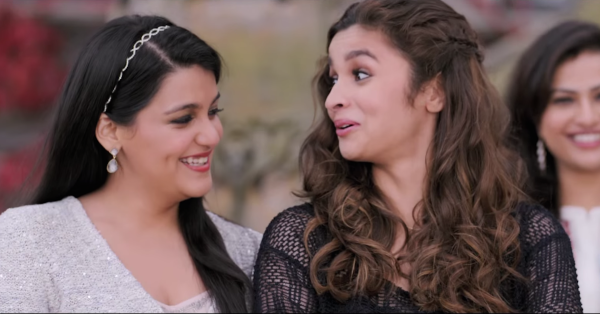 MUST-READ: #BabySister: 17 Things You Can Identify with If You Are the Youngest One!